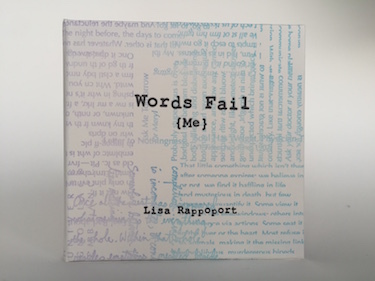 Lisa Rappoport publishes poetry broadsides and artists' books under the imprint Littoral Press. 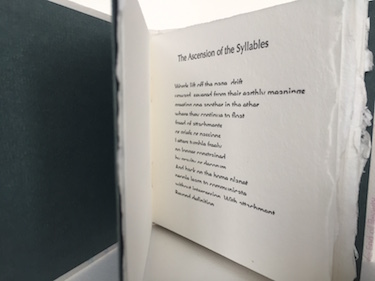 Since 1998 she has produced a series of broadsides by the poets who teach at the Squaw Valley Community of Writers; she has also printed poetry broadsides for Lawrence Ferlinghetti and City Lights Books, Lyric Poetry Review, and many others (last but not least, the Poets Pulling Prints series of the SFCB). Her poetry has appeared in Five Fingers Review, Literal Latte, and elsewhere. She is the winner of the 1998 Icarus Poetry Competition and the recipient of a poetry residency at Centrum. 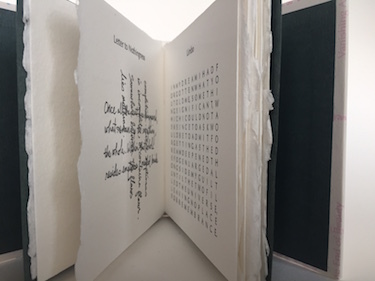 Lisa has taught at the New College in San Francisco, at a middle school in Lafayette, and in her own studio. 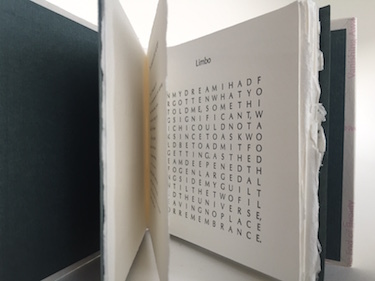 Her work has been displayed nationally and is in collections throughout the U.S.
You can visit her website at www.littoralpress.com.